Taking everything out of the cupboards to spray is a thing of the past, Use Maxforce FC In Pea Sized amounts In cabinet corners, around doors, windows, cracks, crevices and any other places where roaches like to hide. This powerful roach gel kills all species of roaches. Maxforce is the brand used by all the professionals! These tubes of roach bait work great in homes, apartments and restaurants. 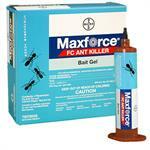 Would you like to see the Maxforce FC Select Roach Gel MSDS sheet? 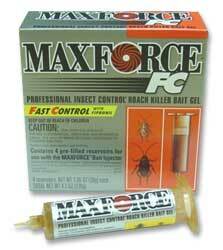 How about the Maxforce FC Select Roach Gel Label?